How wonderful was that series finale? but I'm glad they let it go out on a happy, warm & fuzzy note! where there's actually no snow on the ground. We've had a very mild Winter this year. with the exception of the pink flowers. 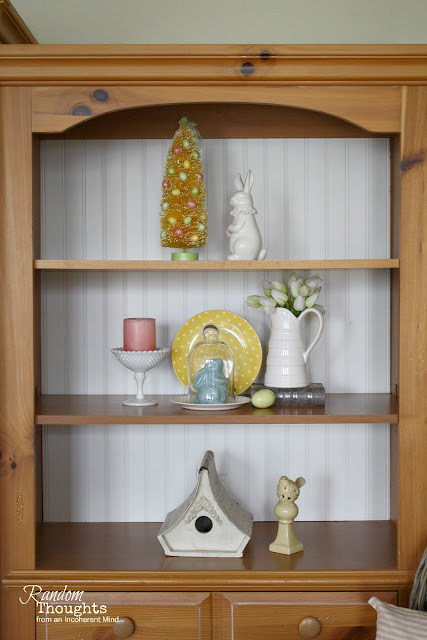 I kept all accents to Spring-y pastel colors. 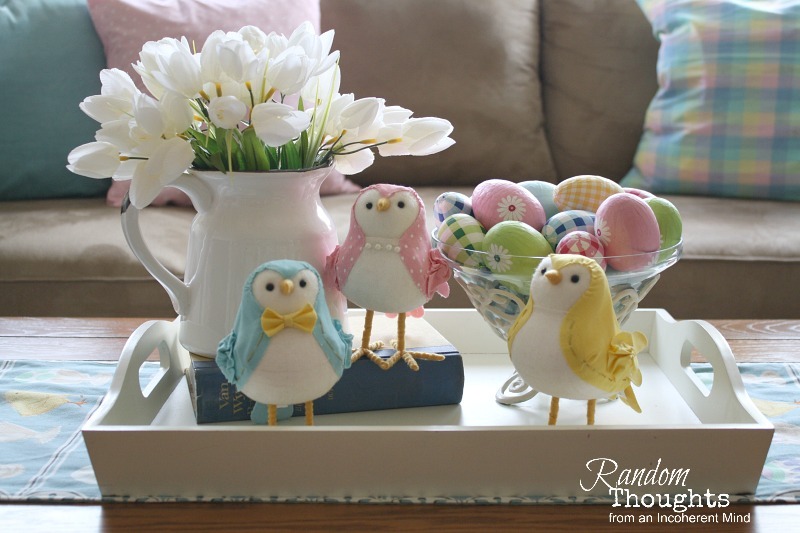 Ok, I seriously have an obsession with these birds from Target! she texted me & I nearly lost my head! It's always a pleasure to share with all of you. 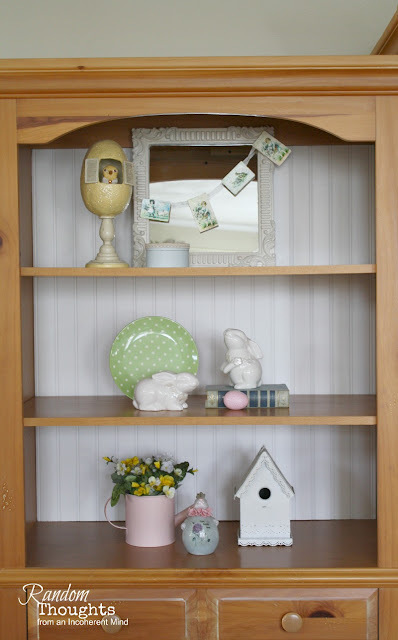 I love all the pastel softness, and those wee birds are so cute! 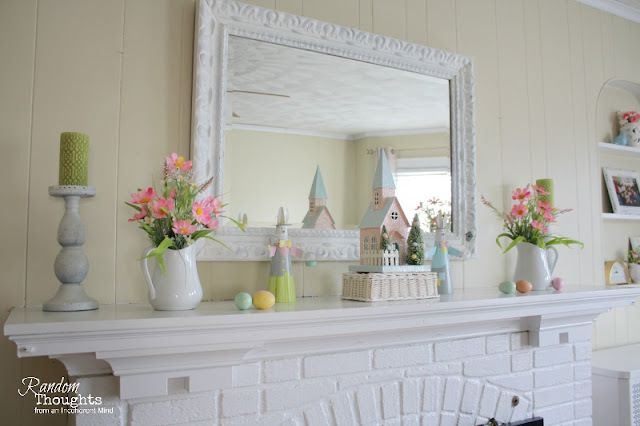 I have a bit of spring on my mantel and we have also had a very mild winter. Looking forward to spring and getting the dreary landscape to brighten up ! Have a great day my friend! Gina, it's all so pretty and fresh. Where in Target do you find those adorable birds? Everything is so cute! 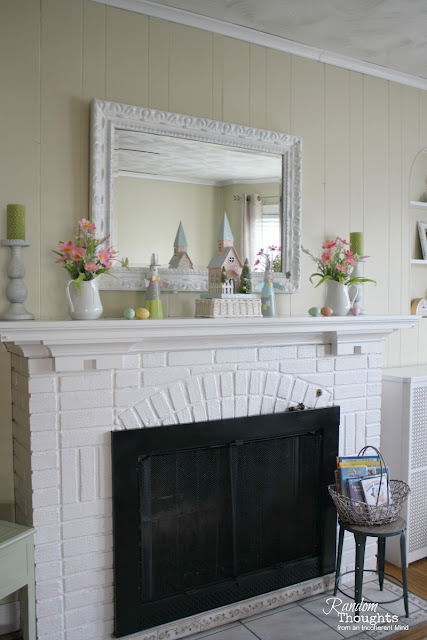 I love the pastels you used and those new chicks are the cutest! I adore those cute eggs in the bowl. We're melting down like crazy here and the snow is just about gone. It's fantastic!! Oh, from a fellow Downton Abby fan...I hate that it is over! I loved that show. 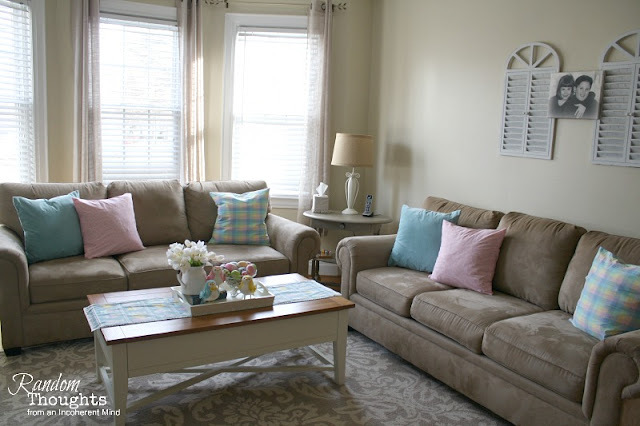 Your living room and Easter decor is fabulous, love how your pillows now pop and go so well with your bunnies! simple ... sweet ... soft ... perfect! It's always a pleasure to enjoy your Home and Decor. Working towards to getting my stuff out. ❤️❤️❤️Everything is so springy and cute! Love it all Gina. Hope you are doing well my sweet friend. Spring has Sprung at Random Thoughts, dear friend! I am totally, smitten with your birds! 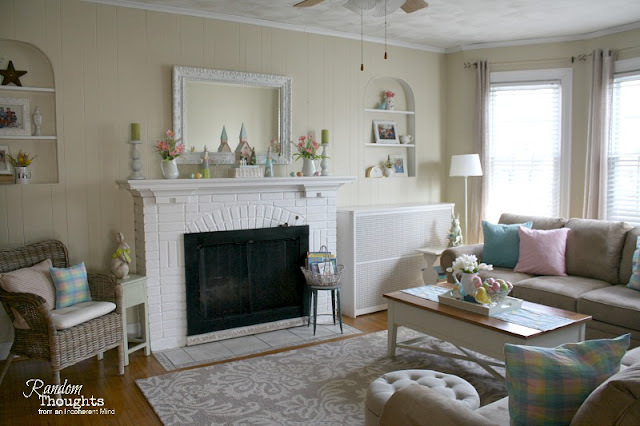 I adore the soft pastel hues within your living room and mantle! So happy you posted for Spring and Easter Gina! I love seeing all your décor! Your home always brings a smile! Your mantel and living room look so pretty all decked out for spring. Pastel colors always make me happy.